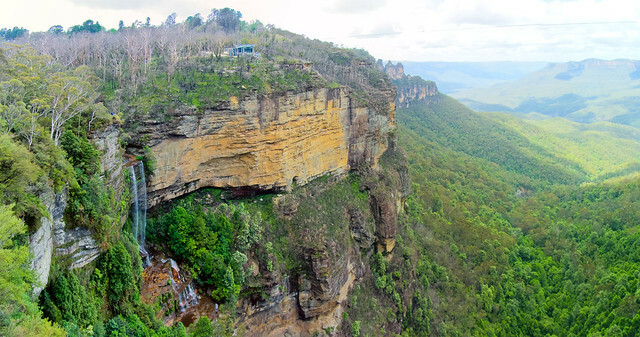 The Blue Mountains are to the west of Sydney and you can get there in an hour or so. I chose to take a tour rather than find my own way so that I could meet other people and be shown the best spots! 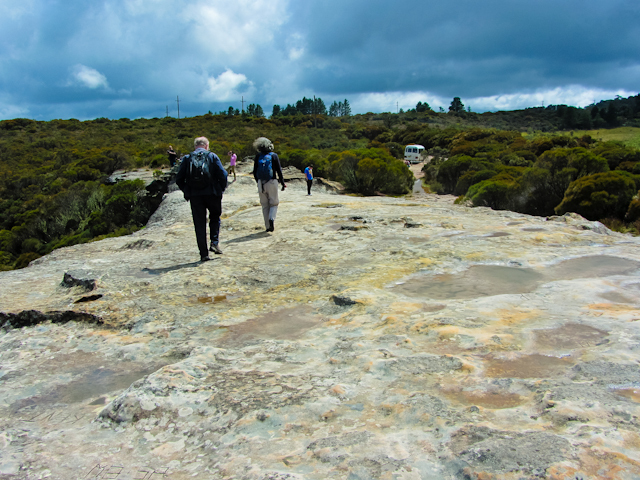 I went on a tour with OzTrek and a lovely man called Glen was our driver and guide. This is another tour that I can highly recommend. Our first stop was on the outskirts of the National Park, a view point called Flat Rock and this was the view. As always with my panoramas just click on them to go through to Flickr and see them bigger. That's my bus in the distance. It's great being on a bus tour because they take you to some spots that aren't packed with other tourists. Next stop was Katoomba Falls view point and our first glimpse of the all important Three Sisters. 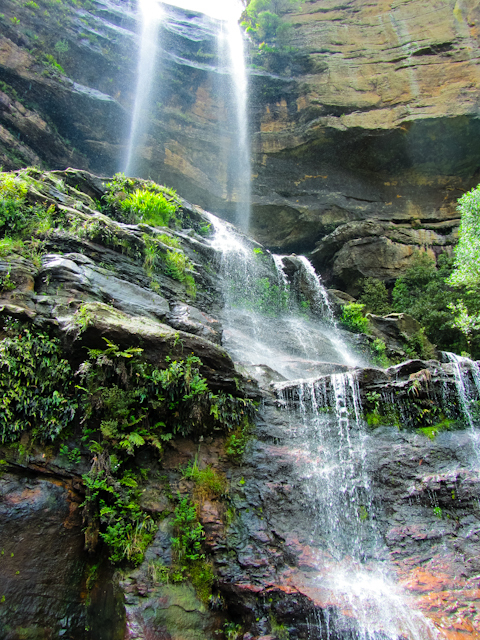 This rock formation of three peaks is the whole focus of the Blue Mountains tourism. You can see Yellow Crested Cockatoos flying around the waterfall, they are really beautiful and everywhere in Australia. After some lunch in Katoomba we went on to Echo Point, the best view of the Three Sisters and the busiest tourist location! 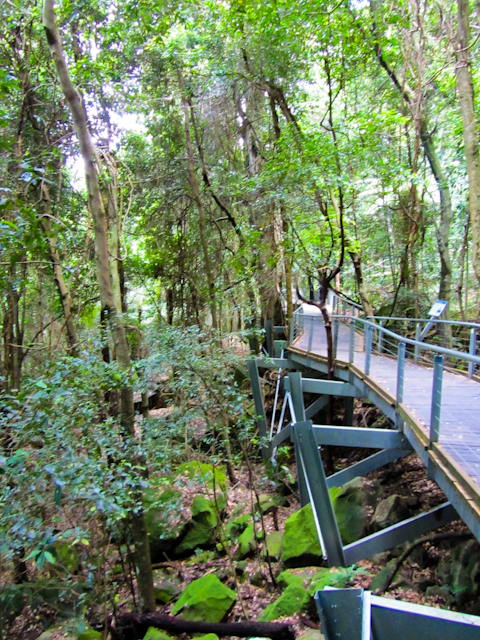 This area all around the Three Sisters has become an attraction called Scenic World with rides that allow even those in wheelchairs to be able to explore the forest. 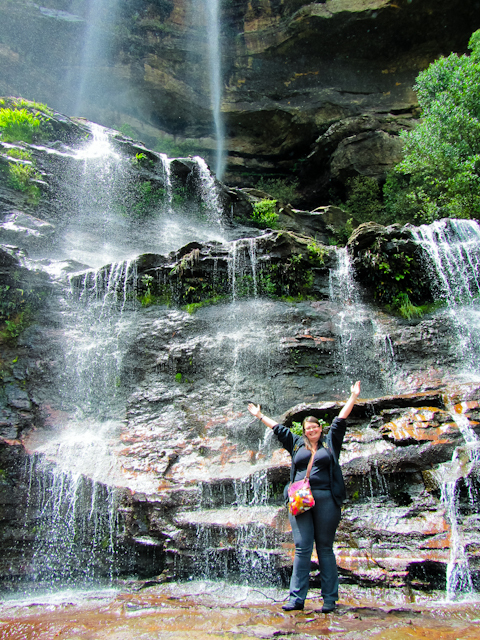 We had for the afternoon to do whatever exploring we wanted, there's a big walk down 1000 steps right next to the Three Sisters or the expensive option where you take all three rides or our tour guide's recommendation- walking down Furber Steps (next to Katoomba Falls) and taking the scenic railway back up. So I did that. 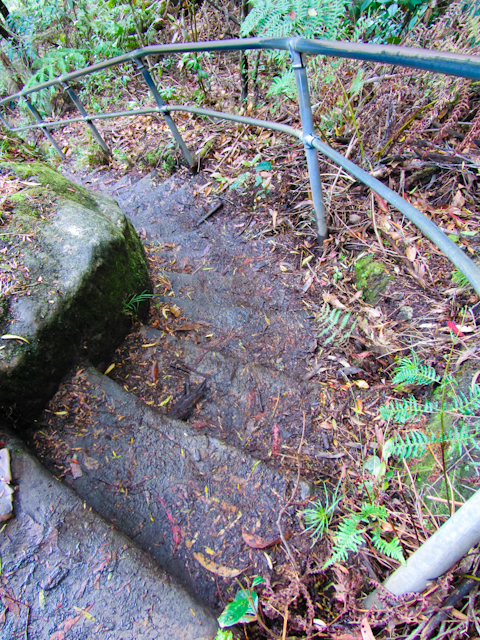 Having been looking down on the Blue Mountains all day it was strange to start going down into the forest. This is Witches Leap (can you see the face?). 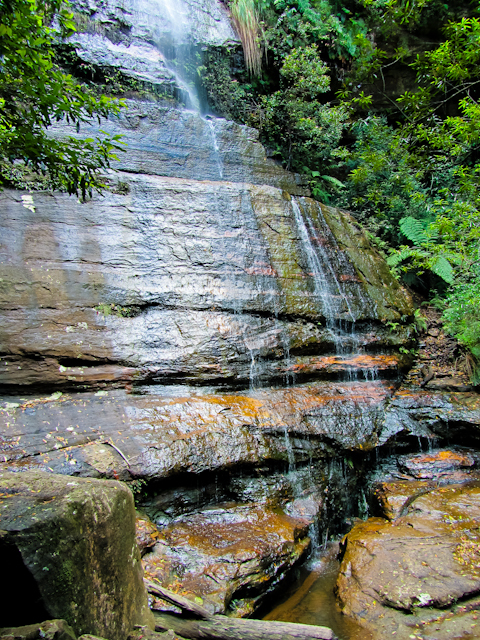 This walk allows you to get to the waterfall that had seemed so far away earlier in the day. As you continue down there are great views of the Three Sisters again too. To the bottom of the waterfall. And finally you rejoin civilisation and tourists who took the train down and the cable car back up so aren't sweating like me! 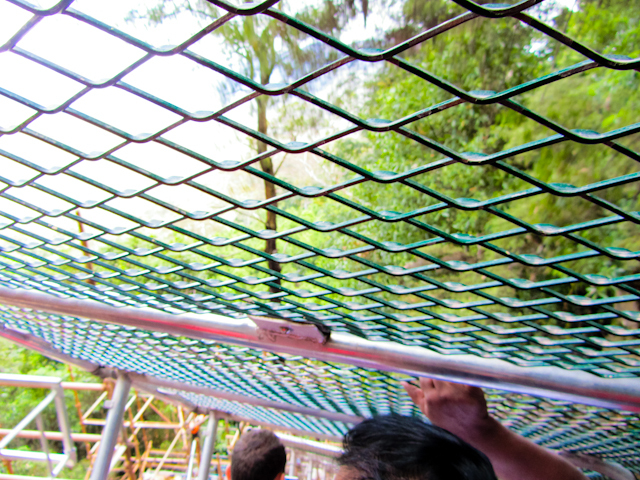 The none walking tourists get to see the forest from this 'boardwalk'. 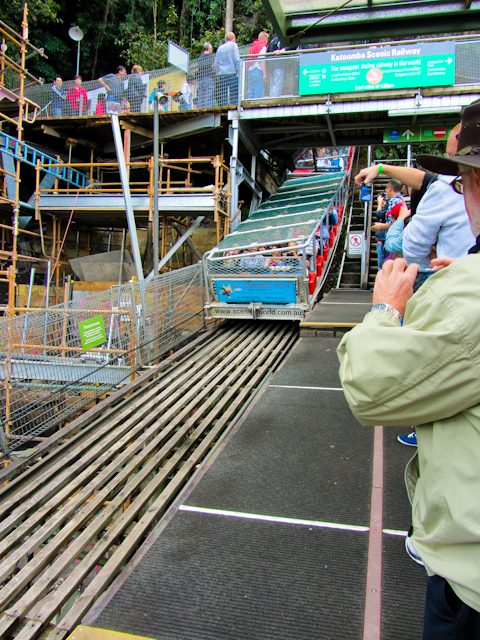 And then you take the steepest railway in the world back up again, unless you can climb cliffs! Apparently it's very scary to take it down but up was nice, you're just lying down (and holding on from sliding out)! And one last view point before the drive back, quiet because there's no view of the Three Sisters but why wouldn't you want to see this!? Called Cahills Look-out. And that was the end of a really lovely tour and a location that I would definitely consider going back to. With my big camera next time!